Dornbracht’s SENSORY SKY rain shower is inspired by natural elements painstakingly harnessed and choreographed with precision-controlled patterns of light, warm rain, fog and essential oil aromatherapy. 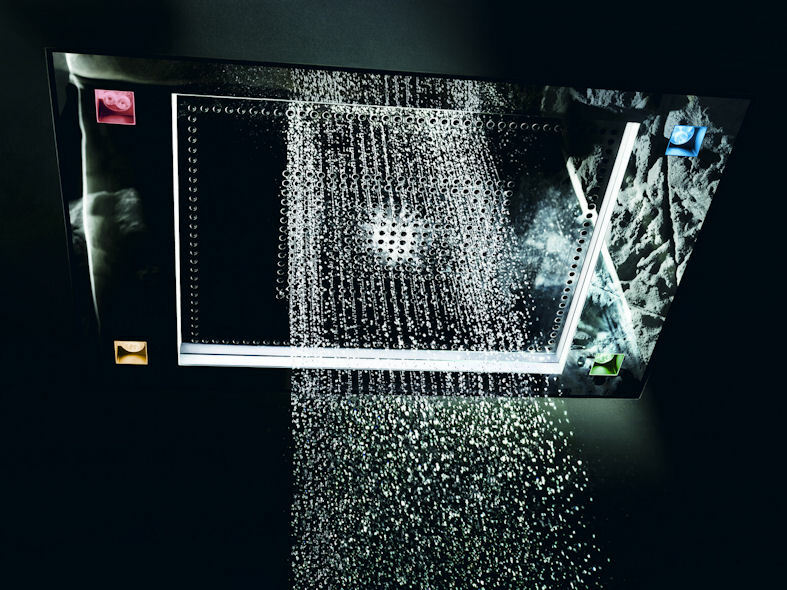 Throughout product development, Dornbracht's focus has been on keeping technology in the background. SENSORY SKY combines technological complexity with minimalist design. The wide and flat rain panel has separate shower fields for the body sprinkler, head sprinkler, and rain curtain, a cold-water fog nozzle and light and fragrance functions. 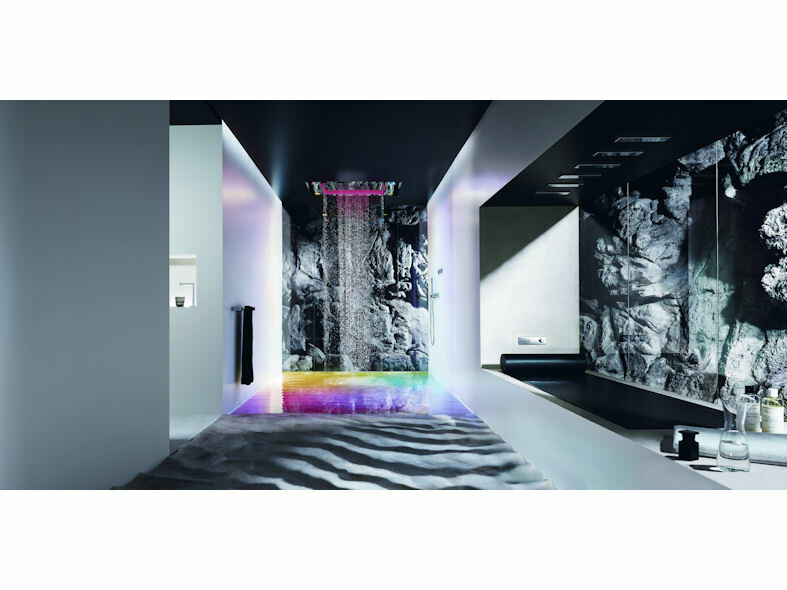 Dornbracht makes showering a unique experience with SENSORY SKY, stimulating all the senses. Whether the choreography is programmed or personal, SENSORY SKY creates a uniquely sensual feeling, like showering outsisde in the open air. 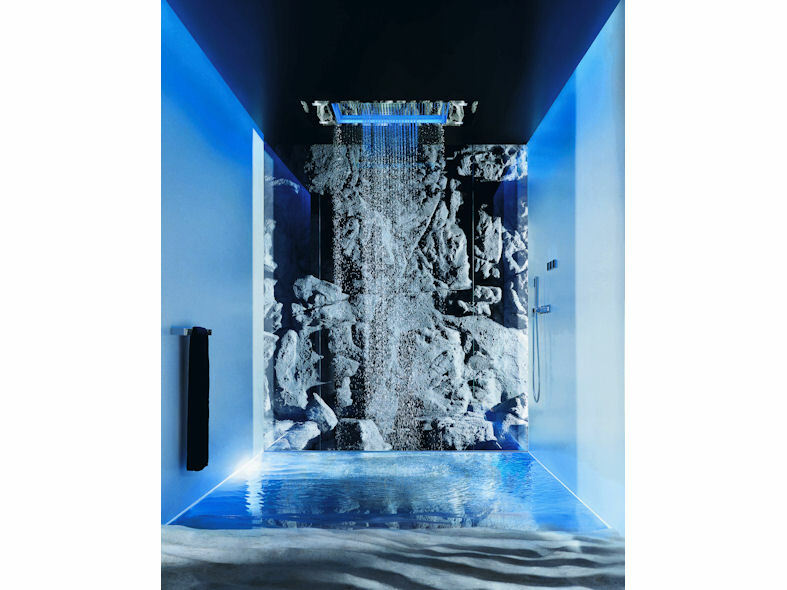 To create a unique showering experience, users can select from three pre-programmed choreographies using Dornbracht's SMART WATER technology. High-quality fragrances are injected into the rain curtain where they can unfold their optimal effects on the body's senses.